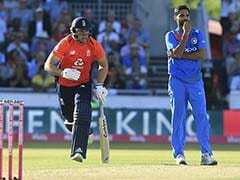 Highlights, India vs England 2nd T20I: Alex Hales' unbeaten 58 off 41 balls guided England to victory in the second T20I against India in Cardiff. 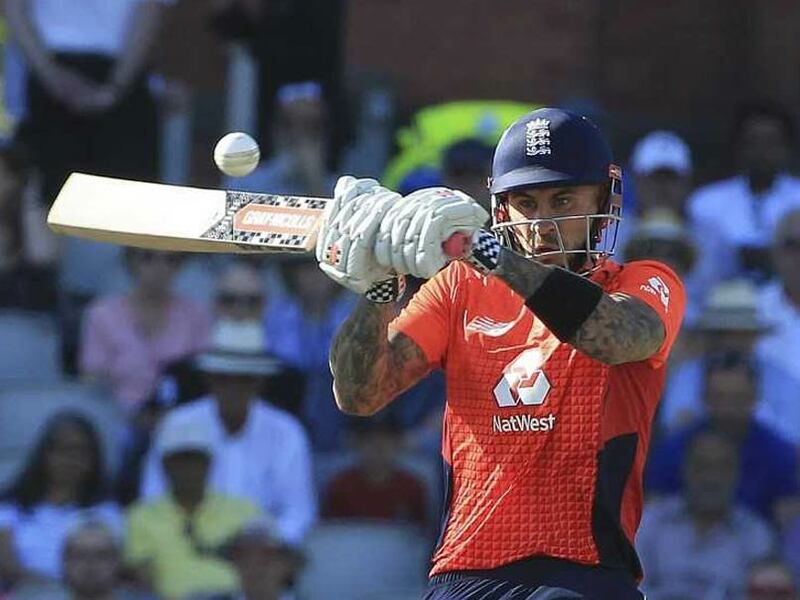 Alex Hales kept his nerve with 58 not out to see England home and square the international T20 series against India 1-1 with one to play in Cardiff on Friday. Set 149 to win off their 20 overs England needed 12 off the final over and Hales put Bhuvneshwar Kumar out of the Cardiff ground off the first ball and the second for four. A single followed and David Willey hit Kumar for the winning runs to set up the decider on Monday. Hales made his runs from 41 balls with four fours and three sixes to get his side over the line when they were faltering. England's big hitters at the top of the order Jos Buttler and Jason Roy were both out cheaply trying to get the early run rate up to Umesh Kumar. 01:40 IST: Thank you for joining us on our live coverage of the second T20I match between India and England. England beat India in the second T20I by 5 wickets to level series 1-1. 01:36 IST: FOUR and it's GAME OVER! Willey finishes of in style for England. 01:33 IST:SIX! First ball from Bhuvneshwar Kumar and Alex Hales launches it for a monstrous six. 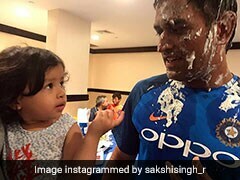 What a way to reach his fifty. What a knock from Alex Hales under pressure. England require another 6 runs from 5 balls with 5 wickets remaining. 01:28 IST: Just 1 run from first three balls of Unesh Yadav. India putting pressure. England require another 19 runs from 9 balls with 5 wickets remaining. 01:25 IST: Excellent over from Bhuvi. Just 3 runs and a wicket. ENG 129-5 after 18 overs. Require another 20 runs from 12 balls with 5 wickets remaining. 01:20 IST: OUT! 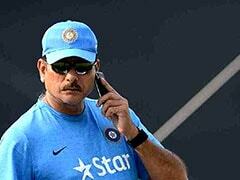 Bowling change does the trick for India. Bhuvneshwar Kumar strikes. Bairstow walks back after scoring 20 runs. ENG 126-5 after 17.1 overs. 01:16 IST: SIX! SIX! Bairstow joins the party. Smacks Kuldeep for 2 consecutive sixes over deep. Required run rate has come down drastically ENG 123-4 after 16.3 overs. 01:15 IST: Hardik Pandya gives away 7 runs in his final over . England marching strongly with Alex Hales (37) leading the chase. ENG 110-4 after 16 overs. Require another 39 runs from 24 balls with 6 wickets remaining. 01:10 IST: 15 overs are up! The match is heading towards an exciting finish. ENG 103-4 after 15 overs. Require another 46 runs from 30 balls with 6 wickets remaining. 01:01 IST: OUT! That was an awesome catch from Shikhar Dhawan at deep fine-leg. Morgan is stunned. He walks back after scoring 17 runs. Pandya gets his first wicket of the match. ENG 92-4 after 13.1 overs. 00:47 IST: 10 overs are up! England are struggling as well. First over from Kuldeep Yadav produces just 4 runs. ENG 59-3 after 10 overs. Require another 90 runs off 60 balls with 7 wickets remaining. 00:46 IST: Review from India! Unsuccessful. Kuldeep Yadav ball strikes Morgan on the pads out replay suggest that the ball struck the pads outside stumps line. ENG 58-3 after 9.5 overs. 00:38 IST: 50 up for England! Hales drives down the ground off Chahal and completes a couple. ENG 51-3 after 8.1 overs. 00:31 IST: Yuzvendra Chahal strikes in his first over. Joe Root (9) is clean bowled by the leggie off a googly. ENG 44-3 after 6.5 overs. 00:28 IST: POWERPLAY done! India have managed to restrict the run scoring from England in the powerplay overs. Both England openers are back and Joe Root and Hales are at the center. ENG 42-2 after 6 overs. Umesh Yadav is at it from the word go. He's picked up two crucial wickets of Roy and Buttler in the three overs he's bowled so far. 00:23 IST: OUT! This time Virat Kohli takes it! Another simple catch of Jos Buttler and Virat makes no mistake this time. Umesh Yadav finally has a smile on his face. Buttler departs after scoring 14 runs. ENG 33-2 after 5 overs. 00:21 IST: Unbelievable! Virat Kohli drops a sitter at long-off. Every one is stunned including batsman Jos Buttler. The next ball he whacks it for FOUR! ENG 33-1 after 4.4 overs. 00:13 IST: FOUR! to finish of the 3rd over from Umesh Yadav. Brilliant straight drive from magician Jos Buttler. He is timing the ball beautifully at the moment. ENG 25-1 after 3 overs. 00:11 IST: FOUR! Short ball from Umesh Yadav and Buttler clubs it away through deep mid-wicket for four runs. ENG 21-1 after 2.4 overs. 00:08 IST: OUT! England lose Jason Roy for 15. Terrific ball from Umesh Yadav goes through Roy's defenses. ENG 16-1 after 2.1 overs. 00:08 IST: Brilliant first over from Bhuvneshwar Kumar. Just 2 runs from it. ENG 16-0 after 2 overs. 00:03 IST: SIX! Expensive first over from Umesh Yadav. Jason Roy takes him apart. 14 runs for England in the first over, ENG 14-0 after 1 over. 00:01 IST: FOUR! Down the leg side from Umesh Yadav and Roy flicks the ball for a boundary. ENG 4-0 after 0.2 overs. 23:59 IST:Jason Roy and Jos Buttler are at the center for England. Umesh Yadav will open the bowling for India. 23:35 IST: FOUR! 4 lucky byes for India and it's also a no ball from Jake Ball. Pandya fails to connect. Just a single off the free hit. IND 140-5 after 19.4 overs. 23:12 IST: 15 overs are up! 5 to go. 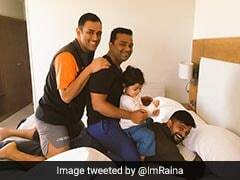 It's now or never for Dhoni and Kohli. IND 93-4 after 15 overs. 22:56 IST: India looking to accelerate now! 11 runs from Jake Ball's over. IND 78-3 after 12 overs. 22:46 IST: 50 up for India! Slowly and steadily India are building on after initial collapse. Virat Kohli(13) and Suresh Raina(15) are dealing in one's and two's at the moment. IND 50-3 after 9.4 overs. 20:55 IST: Here's the pitch for you! There is a bit of grass on the surface but looks like a belter of a track. A high scoring game can be expected. 20:01 IST: Here's a look at the training session that team India earlier had ahead of the second encounter. In terms of ICC rankings, a 2-0 series lead will allow India to close the gap with second-placed Australia, while a 3-0 whitewash will help them leapfrog to second behind top-ranked Pakistan. Australia will have to win both their next two games in the ongoing tri-series in Zimbabwe to stay above India. A loss on Friday will see England drop down to rank seven below New Zealand, South Africa and West Indies, respectively. It will be a surprising downturn for the high-flying English team, one of the better in limited-overs' cricket at the moment. It is a stark reminder of their poor winning ratio nevertheless, having won only 5 out of their last 10 T20 internationals. The big question facing England is how to contend with the unorthodox wrist spin of Kuldeep Yadav. In the aftermath of their loss on Tuesday, both skipper Eoin Morgan and ace batsman Jos Buttler have urged their teammates to show more patience at the crease and watch the ball carefully. But with such a short turnaround in the fixtures' list, it is easier said than done. 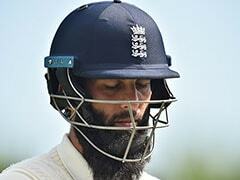 The English camp will deploy the services of spin-bowling machine 'Merlyn' at Cardiff. A scarcity of unorthodox wrist spinners to practice against is one of the key reasons for this move, as the spin-bowling machine is capable of replicating every style of delivery. An English team last used it ahead of the 2005 Ashes, when they were practicing to contend with Shane Warne. A key reason underlined by Morgan after the first defeat was that the middle-order batsmen, Jonny Bairstow and Joe Root, who both got stumped off successive googlies, needed more time to settle in. Despite the loss, one of the key strengths for England is their top-order's ability to handle pace and they would like another fast start at Cardiff. 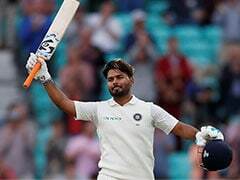 It is perhaps the only real concern for India emanating from that first game as the enforced new-ball pairing of Bhuvneshwar Kumar and Umesh Yadav was proven ineffective at Old Trafford.